Boston’s metropolitan landscape has been two hundred years in the making. From its proto-suburban village centers of 1800 to its far-flung, automobile-centric exurbs of today, Boston has been a national pacesetter for suburbanization. In The Hub’s Metropolis, James O’Connell charts the evolution of Boston’s suburban development. The city of Boston is compact and consolidated — famously, -the Hub.- Greater Boston, however, stretches over 1,736 square miles and ranks as the world’s sixth largest metropolitan area. Boston suburbs began to develop after 1820, when wealthy city dwellers built country estates that were just a short carriage ride away from their homes in the city. Then, as transportation became more efficient and affordable, the map of the suburbs expanded. The Metropolitan Park Commission’s park-and-parkway system, developed in the 1890s, created a template for suburbanization that represents the country’s first example of regional planning. O’Connell identifies nine layers of Boston’s suburban development, each of which has left its imprint on the landscape: traditional villages; country retreats; railroad suburbs; streetcar suburbs (the first electric streetcar boulevard, Beacon Street in Brookline, was designed by Frederic Law Olmsted); parkway suburbs, which emphasized public greenspace but also encouraged commuting by automobile; mill towns, with housing for workers; upscale and middle-class suburbs accessible by outer-belt highways like Route 128; exurban, McMansion-dotted sprawl; and smart growth. Still a pacesetter, Greater Boston has pioneered antisprawl initiatives that encourage compact, mixed-use development in existing neighborhoods near railroad and transit stations. O’Connell reminds us that these nine layers of suburban infrastructure are still woven into the fabric of the metropolis. 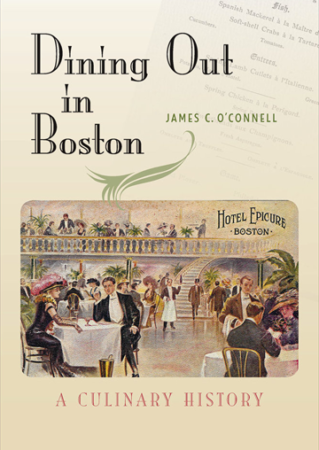 Each chapter suggests sites to visit, from Waltham country estates to Cambridge triple-deckers.